“The researchers say further analyses are needed to determine whether molten fuel penetrated the reactor and fell down.”2 In short, researchers do not yet know if the molten hot stuff has penetrated the steel/concrete base beyond the containment vessel, thus entering Mother Earth. The Nagoya University research team, in coordination with Toshiba Corporation, reported their findings at a meeting of the Physical Society of Japan on September 26th. As, for example, there are 1,090 square miles of land surrounding the destroyed Chernobyl reactor that Ukraine classifies as an uninhabitable radioactive exclusion zone because radioactive fallout left more than 104 Curies of cesium- 137 per square mile on the land that makes up the zone. Scientists believe it will be 180 to 320 years before Cesium-137 around Chernobyl disappears from the environment. Chernobyl, on the other hand, is a different animal than Fukushima because its explosion was much more widespread and more dense than Fukushima, where 80% of initial radiation was blown out to the Pacific Ocean. Hmm. That, however, has been debunked via a recent (July 2015) landmark study concluded by an international consortium under the umbrella of the International Agency for Research on Cancer/Lyon, France where a long-term study for low radiation impact was conducted on 300,000 nuclear-industry workers. The study proves, beyond a doubt, there is “no threshold dose below which radiation is harmless.” Any amount is harmful, period. Meanwhile, the “world information system aka: Internet” is crowded with stories about melting starfish in the Pacific Ocean, dumbfounded whales, and massive animal deaths, enough so that people start connecting the dots in expectation that Fukushima radiation is omnipresent; however, to date, most of the evidence is labeled conjecture by various mainstream parties. Again, the problem is who to trust. Up to 100% of No. 2 Reactor Fuel May Have Melted, NHK World News, September 25, 2015. Comments on Draft of Nuclear Waste Administration Act of 2013, Physicians for Social Responsibility, May 23, 2013. Steven Starr, senior scientist, Physicians for Social Responsibility, Director, Univ. 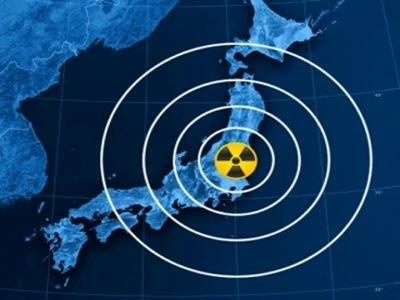 of Missouri, Clinical Laboratory Science Program, The Implications of the Massive Contamination of Japan With Radioactive Cesium, Speech to NY Academy of Medicine, March 11, 2013. Reporters without Borders (2013). Press Freedom Index 2013: “Dashed Hopes After Spring}, August 2014. Dr. Kelvin Kemm, CEO of Nuclear Africa, “Physicist: There was no Fukushima Nuclear Disaster: The Terrible Toll From Japan’s Tsunami Came From the Wave, not Radiation”, Cfact, October 12, 2013. Charles Ferguson, president of the Federation of American Scientists, “Mechanics of a Nuclear Meltdown Explained”, PBS Newshour, Science, March 15, 2011. Robert Hunziker (MA, economic history, DePaul University) is a freelance writer and environmental journalist whose articles have been translated into several foreign languages, published in over 50 journals, magazines, and sites worldwide. He can be contacted at:[email protected]. Read other articles by Robert.